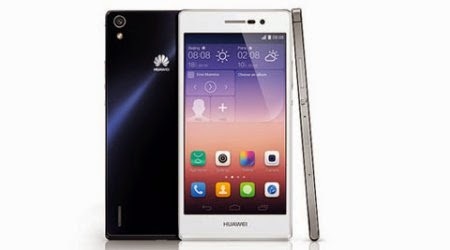 HUAWEI Ascend P7 Specifications and Features ! HUAWEI Device, the third largest smartphone maker in the world, has recently presented in Paris its new flagship device for 2014. It's called Ascend P7 and is , as the number suggests, the successor to the successful Ascend P6, which is sold more than 4 million times last year. Visually the Ascend P7 is very similar to its predecessor. The so-called "HUAWEI Double C" design is also available this year in the high-end class. According to statements and Android app developers New York, "True to our motto MAKE it POSSIBLE, we once again mark out new frontiers and present with the HUAWEI Ascend P7 as a high-end smartphone with a fair price-performance ratio and design standards," said Robbert de Graaf, Vice President of Consumer Business Group of HUAWEI Technologies Germany GmbH. "Our new flagship is a real gem in elegant Darling, equipped with the latest technology." The Ascend P7 brings all of with a modern smartphone which does have good workmanship, high-resolution cameras with smart features, contemporary display and a fast Internet connection. The Ascend P7 is not as thin as the Ascend P6 with 6.18 mm with 6.5 mm. Known; it was once the thinnest smartphone in the world. The camera is a Selfy, and looks quite good, and takes quality pictures. HUAWEI but goes one step further and calls its invention Groufie. Three frontal captured images are stitched together to a great photo. A kind of panorama for the front camera. Another cool feature. In the microSDHC slot can be inserted alternatively a second nano-SIM card ,and also it is dualism phone.